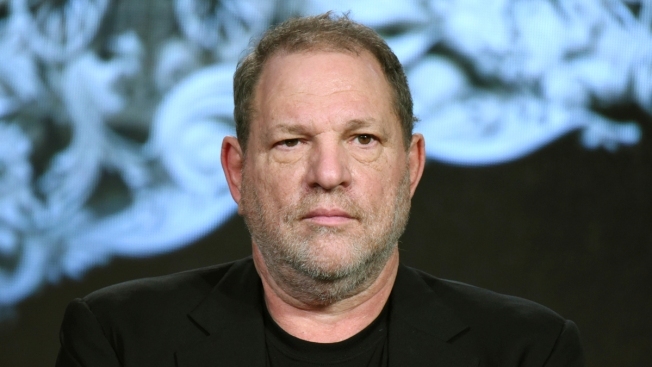 FILE - In this Jan. 6, 2016 file photo, producer Harvey Weinstein participates in the "War and Peace" panel at the A&E 2016 Winter TCA in Pasadena, California. Tropical Storm Nate gained force as it sped toward Mexico's Yucatan Peninsula Friday after drenching Central America in rain that was blamed for at least 21 deaths. Forecasters said it was likely to reach the U.S. Gulf Coast as a hurricane over the weekend. The storm had maximum sustained winds of 65 mph (100 kph) by Friday afternoon and was likely to strengthen over the northwestern Caribbean Sea on Friday before brushing by the Cancun region at the tip of Mexico's Yucatan Peninsula. It could hit the U.S. Gulf coast near New Orleans. Authorities cancelled Friday afternoon classes in parts of Mexico's Caribbean coast state of Quintana Roo, where Cozumel and Cancun are located. Gov. Carlos Joaquin said it appeared the storm would stay well offshore and not hit land, adding "that, I believe, is good news."